Spoiler alert! After the news section of this podcast, which IS TV ONLY FRIENDLY, the podcast discusses a tandem read of George RR Martin’s A Feast For Crows and A Dance With Dragons. 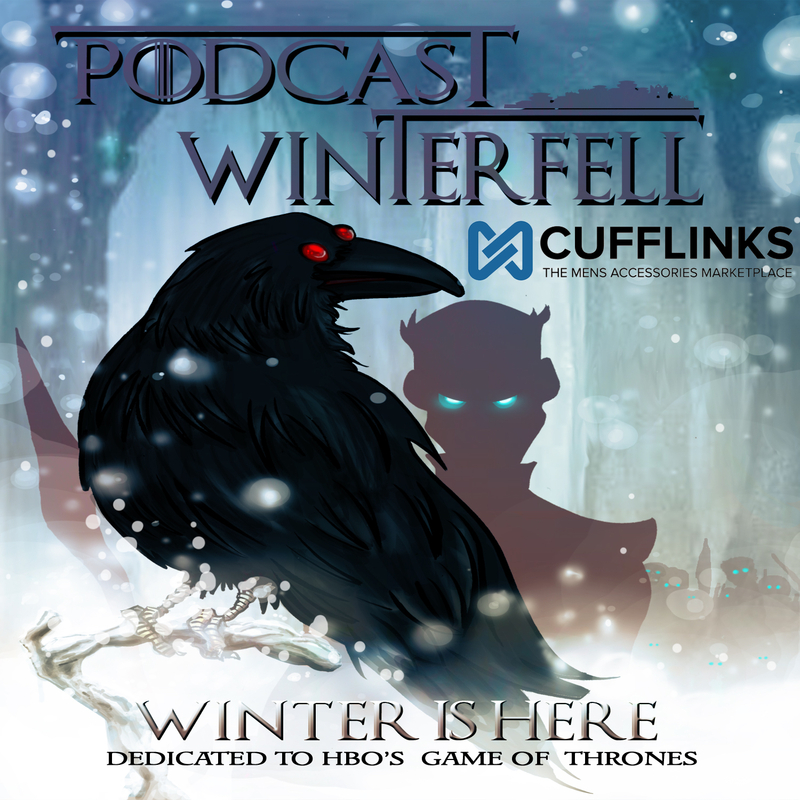 If you are not reading along with the podcast (the read order is found in the 2014 and Beyond tab at podcastwinterfell.com) then this podcast will spoil events that may or may not happen in the television show. After the news, proceed at your own risk. Otherwise Matt is joined by Mike (@fifthcolumnfilm) of the Captain Punishment Adventure Hour, ASOIAF fan Susan (@blackeyedlily) and Bubba (@FittenTrim) from the Joffrey of Podcasts to discuss from AFFC Jaime VII (00:36:35) and Samwell V (01:06:55), and from ADWD The Blind Girl (01:44:25), A Ghost in Winterfell (02:03:25), and Tyrion X (02:20:37).